If you think the only wild animals in the city are on Division and Rush Streets after dark, think again. The wildest and wooliest creatures from all over the world can be found at the popular Lincoln Park Zoo. This urban oasis lets you get nose-to-nose with gorillas and watch a playful meerkat mob. You can also check out African lions, snow monkeys, sea lions, leopards, Bactrian camels and Grevy's zebras. And if animals aren't enough, daily activities make the zoo the perfect destination for visitors of all ages. So if you like your wildlife encounters during daylight hours, get thee to the Lincoln Park Zoo Chicago. Free! Now it doesn't get any better than that, does it? Open 365 days a year, 10:00 a.m. to 5:00 p.m.
are there places to eat at the Lincoln Park Zoo? Checking out all the wild things can really work up your appetite. But don't worry, because you will find savory delights around every corner at the zoo. Head to The Patio at Café Brauer for panoramic views of nature and soaring skyscrapers served alongside flatbread pizza, fresh salads, kids' meals and cocktails, beer and wine. Café at Wild Things offers breathtaking views and delicious organic fare like paninis, salads, kids' meals and other green goodies. Park Place Café is an exotic treat with Mexican food, Italian fare, burgers, salads and sandwiches, where you can wash things down with a cold beer or crisp glass of wine. All restaurants are seasonal except for Park Place Café, which is open year-round. What animals can I see at the Lincoln Park Zoo? 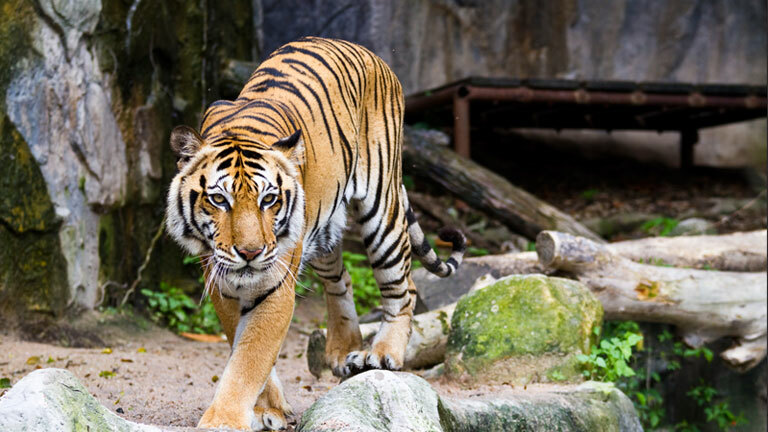 You will find one of the most diverse collections of exotic animals in this urban oasis. Lions, gorillas, rhinoceroses, monkeys and sloths are just a few of the mammals you will discover. Birds of international feathers flock together in the aviary exhibits. Reptiles from the Amazon to Africa slither and slide (behind glass, of course!). A cool collection of amphibians including Oriental Fire-Bellied Toads and Dyeing Poison Arrow Frogs offer a glimpse into a totally surreal world. And there are new arrivals, too. Baby snow monkeys, Japanese macaques and tiny sloths are just a few of the youngest critters you can find. West Town Bakery in our lobby - one word, yum!